^ a b "Basil Rathbone, Master of Stage and Screen: The Great War". 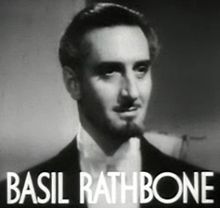 Basilrathbone.net. Retrieved 23 August 2014. 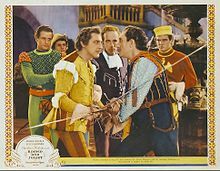 ^ "Basil Rathbone, Master of Stage and Screen: Biography". 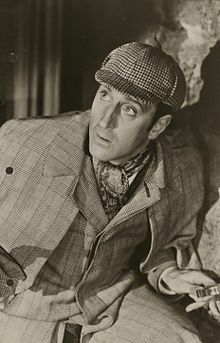 Basilrathbone.net. Retrieved 23 August 2014. ^ Millar, John (8 August 2010). "Jackson Rathbone profile, detailing blood relationship to Basil Rathbone". Dailyrecord.co.uk. Retrieved 23 August 2014. ^ Kirby, Walter (24 February 1952). "Better Radio Programs for the Week". The Decatur Daily Review. p. 38. Retrieved 28 May 2015 – via Newspapers.com.